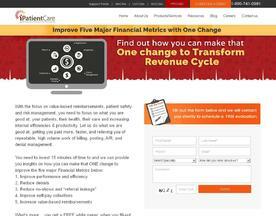 What is Online Revenue Cycle Management Software? Online Revenue Cycle Management Software is usually designed to work with financial and accounting systems to smoothly and accurately manage complexities. In addition, revenue management software enables users to track the business processes that start with a sale - including billing and customer financial management - and continues through revenue recognition. The Revenue Cycle Management Software here is offered under the SaaS (Software as a Service) model, meaning that the software is web based, hosted on the Cloud and can be accessed when needed through a client or web browser. If you’re looking for similar online software like Revenue Cycle Management Software, consider our Trading or Accounting Software categories.